This in an artist's painting of the F.M. 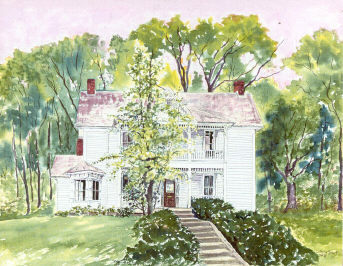 Stafford home in Paintsville, KY. These paintings are currently being sold to visitor's of the Stafford home by the local historical society. This page last updated on 7/15/99 11:01:27 PM.